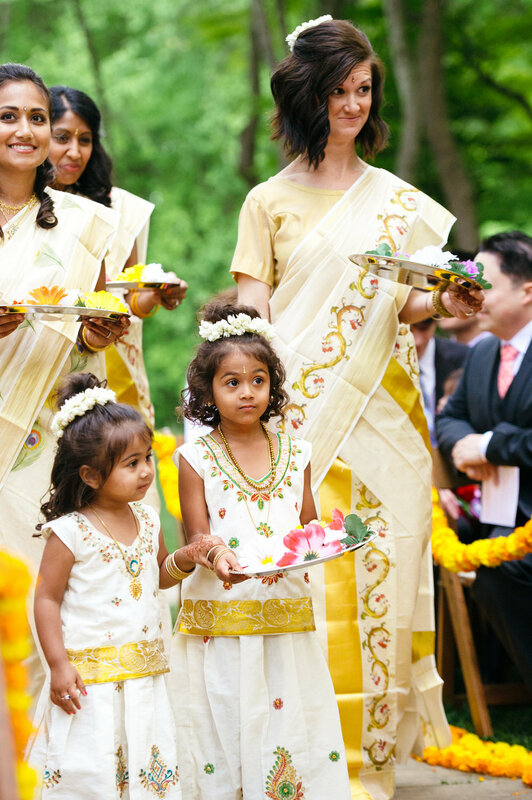 Marigold was the flower of choice for this epic summer event held at the historical Woodend Sanctuary in Chevy Chase Maryland. 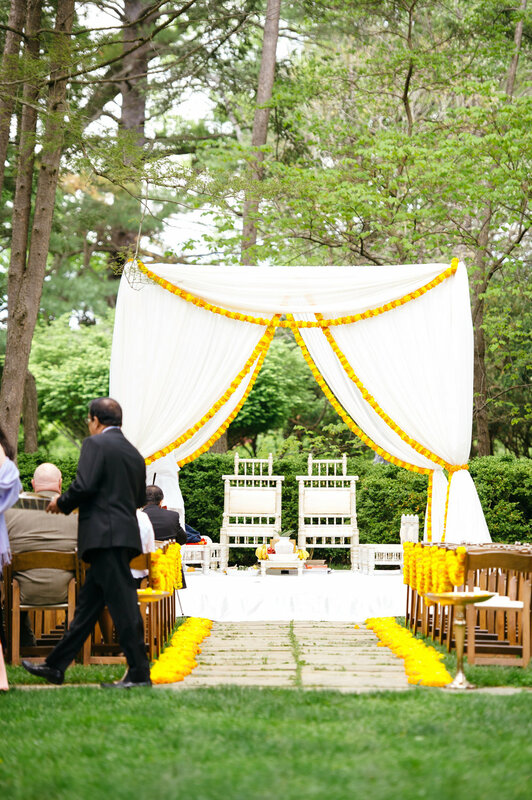 The ceremony started off with a stunning mandap laced with marigold garlands. 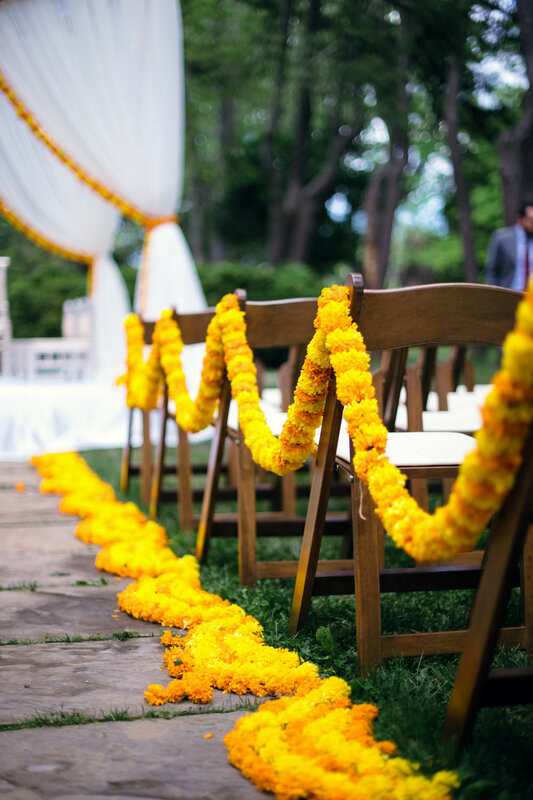 The aisle was filled with, yet again, marigold flowers with fresh floral swags throughout the walkway. The reception was flawlessly dressed with beautiful floral arrangements and fresh floral ceiling drapes. 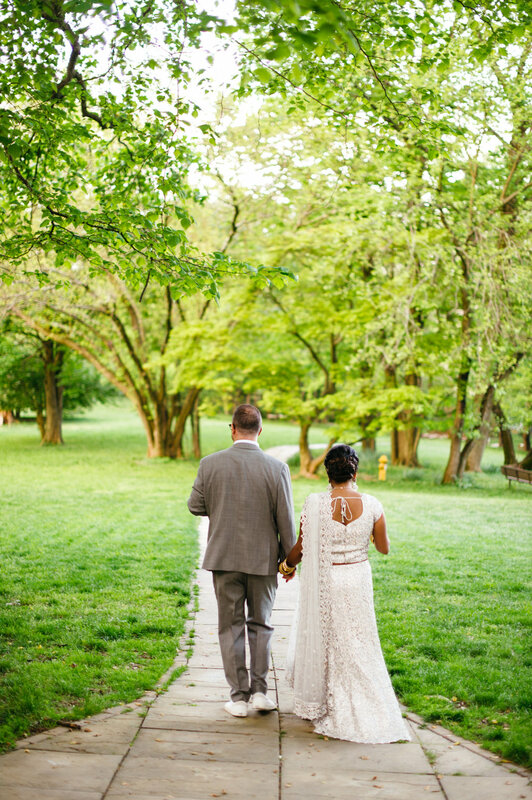 All the images were masterfully captured by Rebecca J Photography. Wedding Decoration is getting into all specialists job now. If you have your wedding planned soon, we would love to help you put your big event together. Please give us a call, email us or simply fill out the inquiry form. Our friendly staff will be in touch with you.